Professional Tile and Grout cleaning in Cherry Hill, NJ. The vibrantly colored tiled backsplash behind your stove looks great and adds flare to the kitchen. It has gotten dirty and greasy over the past year often due to cooking and need cleaning. Plus, dirt and grime has become embedded in the grooves of the grout lines and makes the grout appear dull and dingy. 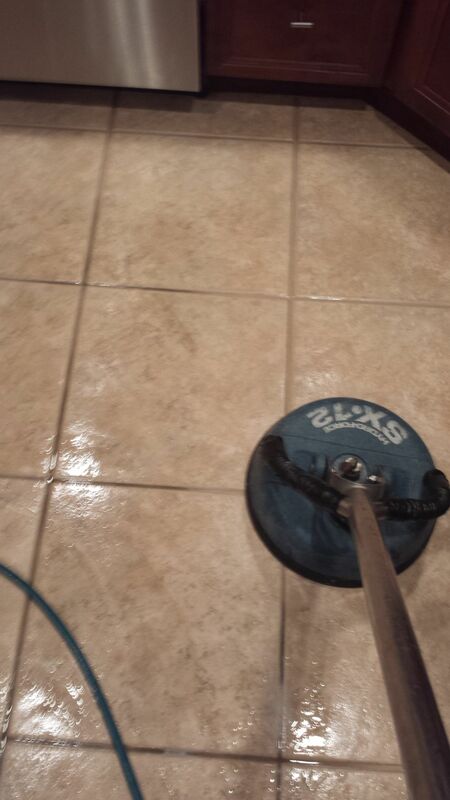 if you are looking for highly professional tile and grout cleaning in Cherry Hill, NJ, give us a call. We are very reputable and will thoroughly clean your backsplash. Our company has been offering first-rate services for decades and can be trusted to efficiently clean any tiled surface in your home. We will use state of the art equipment to safely and effectively remove dirt and grime from your backsplash. You could try cleaning it yourself, but we do not recommend doing so because the product may damage or fade the tile. The best option is to hire experienced professionals like us to do the job. Our technicians are very reliable and will safely clean your tile and grout and will make it look immaculate. If you want tile and grout cleaning services that are the best offered in your area, we urge you to contact us today. When the job is complete, we assure you that your tiled backsplash will be free of dirt, grime and grease and will have a glossy finish. If you want your tile to thoroughly and safely cleaned and to look pristine, we guarantee that our well trained and expert team will do an excellent job. Hiring us means that your brightly colored tile will look vibrant and will sparkle like new. Plus, you can trust that the grout lines will be dirt and grime free. We offer high professional tile and grout cleaning in Cherry Hill, NJ. that will not be duplicated, so contact us today to setup an appointment.